Self Made Beauty: Jumbo Wooden Train! Posting whatever interests us today! We write about anything and everything that might interest someone and help them become their own Self Made Beauty. ENJOY! You can earn with Avon too! Order anytime from anywhere in U.S. online! 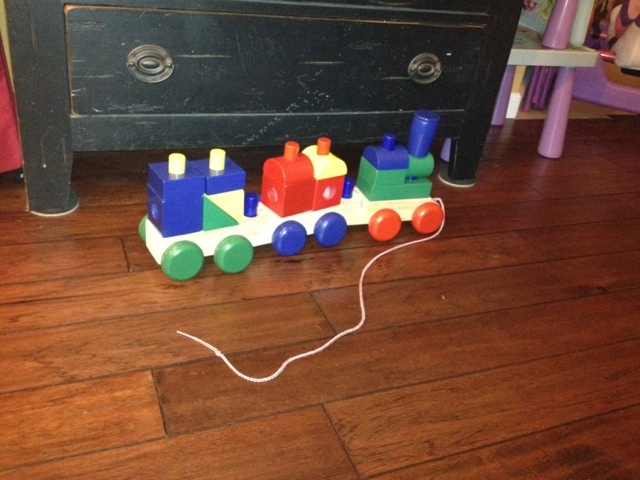 Look at this great wooden block train that even rolls! Santa found it at Costco this year! Cost? I think Santa might have paid under $20 for it! Both girls 2 and 4 just play and play with it! I love the building blocks! It really is a great toy! Be Your Own Boss with AVON! Start your own AVON business for $25!